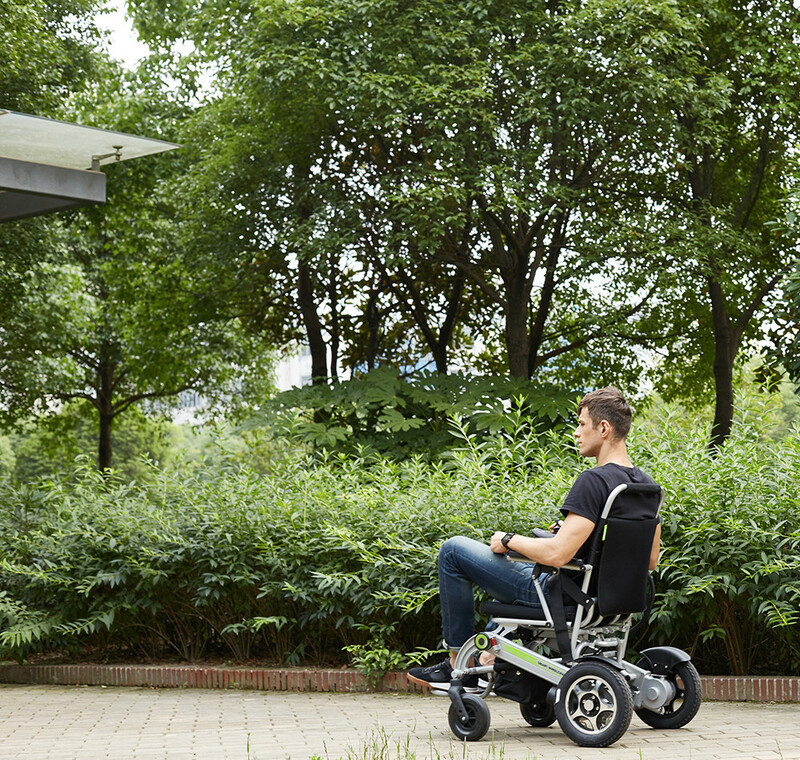 Abstract: Airwheel H3 smart electric wheelchair has been designed to provide an innovative solution to independent living with travel and transportation in mind. The unique design features an advanced folding technology which will help you to transport the chair quickly and easily. Usually, the old's travel is lack of safe, convenient and portable transports. For them, it is not safe to drive cars or ride bicycles and Airwheel H3 power wheelchair comes as a blessing to the elderly and also a relief for their children. Besides the good look, noticed by everyone and which is less disabled, the weight and volume of this chair makes it extremely convenient for travel, almost essential. It was easy to carry with rider the chair that is light when there was a barrier. The ability to store it in the trunk of any vehicle used to go everywhere. 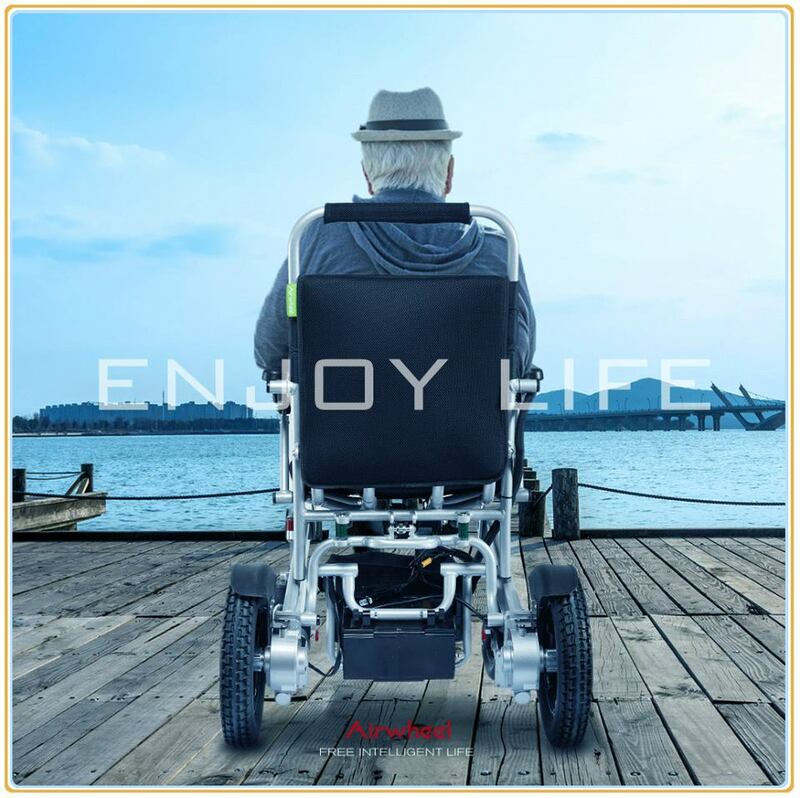 Airwheel H3 motorized wheelchair is made by welding aluminum alloy with solid structure and high safety performance, metallic paint processed in surface, attractive and durable. It features a compact folding design the comfort of the power chair is not compromised thanks to the built-in front suspension which provides additional support for a comfortable ride and a padded seat cushion for extra comfort. H3 can be folded or unfolded automatically, just pushing the automatic folding button on the controller, making it easy to store. Also, H3 has two ride modes, lithium battery powered mode and man-powered mode. That is, they can sit on the saddle to go forward, meanwhile, they can push it to process. Importantly, H3 smart electric wheelchair is very easy to learn due to the intelligent handlebar controller. They can realize all controls, like speeding up, slowing down and changing direction, via pushing the controller accordingly. It will automatically brake when release the controller. Also, to go backward, H3 will give you reminder if there are obstacles to ensure the safety of rider and others. Further, its speed is always restricted within 6km/h, which further guarantees their safety. To conclude, H3 will provide the old a much happier and healthier retired life. Go to airwheel.net for more info.